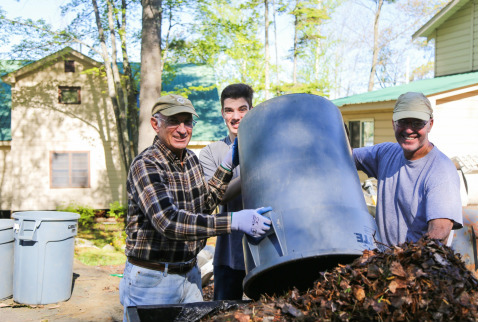 Volunteers are an essential part of the ministry at CAMP-of-the-WOODS. 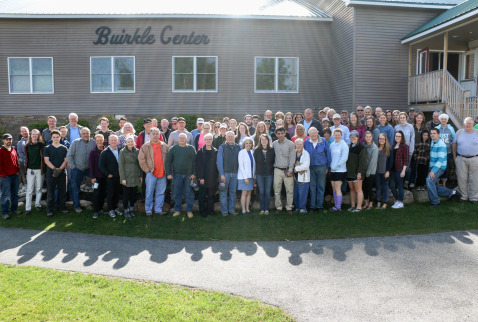 Each year, hundreds of individuals and families help support CAMP-of-the-WOODS through their service. They play an integral part in the opening, operation, and closing of Camp, and we are grateful for them. 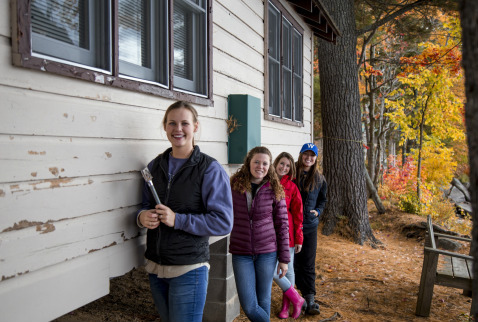 There are many facets to our Volunteer Program at CAMP-of-the-WOODS. 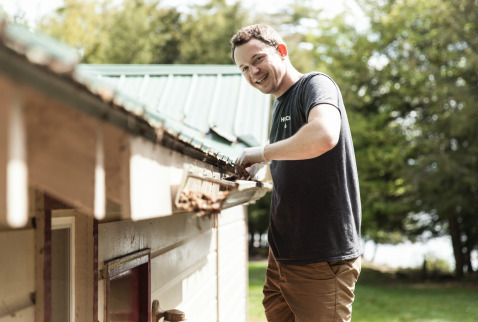 We always need volunteers to help open Camp during the last two weeks in May, and we need other help during the last two weeks in August when many of our staff must leave for college. Others help out by volunteering after Labor Day to help close Camp. Whenever and wherever you are able, we would appreciate your service to our Lord and this ministry. Plus, our volunteers enjoy great fellowship as they serve our Lord together. These weekends are vital to make sure that Camp opens in time for the summer season. Projects typically include: painting, light carpentry, grounds clean-up, housekeeping and other specialized projects. Lodging and meals will be provided, and the weekends typically start with dinner on Friday night and end after lunch on Monday. We work Saturday, Sunday and half of Monday. May 10th - 13th: Sign up here! May 17th - 20th: Sign up here! This weekend is dedicated to getting Camp closed down for the winter and helping to complete some of the projects that must be done for the following summer. Typically this includes painting, light carpentry, grounds clean-up, housekeeping and other specialized projects. Lodging and meals will be provided, and the weekend typically starts with dinner on Friday night and ends after lunch on Monday. We work Saturday, Sunday and half of Monday. 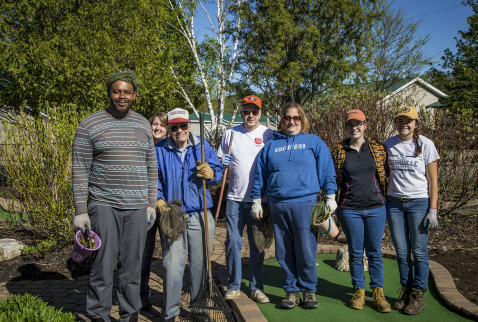 If you would like to volunteer at CAMP-of-the-WOODS during the summer season, we would love to hear from you. Simply submit this volunteer information form. 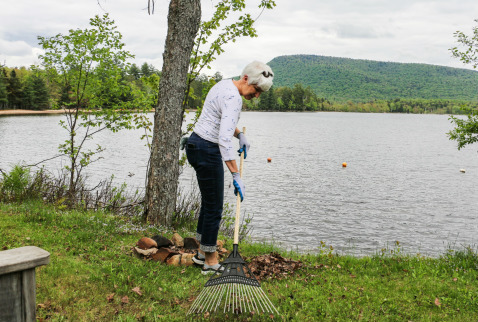 Volunteers serve at Camp in many ways during the summer season. We are so grateful for the large body of Associate Members who volunteer all summer long in our Welcome Center, Museum, Tee Pee (snack shop), Child-Care and Housekeeping. We would love to have you join the team! 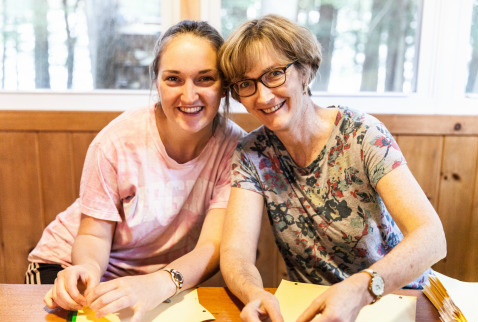 We also have many volunteers who come to CAMP-of-the-WOODS to volunteer for the last two weeks of summer when many of our college-aged staff go back to school. We provide meals and lodging in exchange for a servant's heart! If you have any questions, please call 518-548-4311.